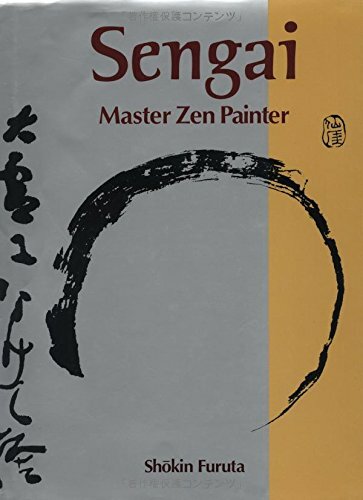 Sengai: Master Zen Painter is the portrait of a Japanese Zen priest of the mid-eighteenth century whose work embodies the essence of humor in the Zen tradition. Sengai was a Zen master with a profound insight into life, but more importantly he was able to express this insight in ink paintings and calligraphy that are replete with wisdom, simplicity, and humor. Sengai is a revealing look at his entire life-from his childhood when he was placed in a Zen temple because of family financial difficulties to the time of his re-tirement as abbot of the historical Shofukuji temple. The focus is on the humor that characterizes not only his work but Zen itself, the symbolic representation of enlightenment in his work, and the lessons that he has to teach modern man. This concise, acute narrative of Sengai's life is followed by the book's centerpiece: seventy-four plates showing paintings, calligraphy, and tea utensils. Many of these pieces were impromptu creations, and perhaps for that reason reveal the character of their creator more faithfully than could any carefully planned work of art. Each is a visual representation of Sengai's inner life, and is accompanied by the author's lively commentary which highlights the wit and underlying profundity that is Sengai's real legacy to the world. Sengai: Master Zen Painter closes with supplementary material supplied by the translator that readers can refer to as the need arises: a list of exhibitions held to date outside Japan; notes and commentary; original Japanese and Chinese versions of poems and calligraphy; a list of figures and plates; a table of Japanese and Chinese pronunciations; and a selected bibliography. For those interested in Zen, calligraphy, or art, Sengai is the fascinating story of how these disciplines can be fully integrated in the being of one remarkable man. Parenthetical numerals refer to catalogue numbers in Idemitsu Bijutsukan zohin zuroku: Sengai (The Collections of the Idemitsu Museum of Arts: Sengai). 1 (338) The First Patriarch Senko (Yosai). Hanging scroll, ink on silk. 2 (1019) Spring Charms in a Life of Quietude. Hanging scroll, ink on paper. 3 (422) To Saito Shoho. Hanging scroll, ink on paper. 4,5 (426) Kitafune Rice Dealer; Rice Dealer Jintaro. Pair of hanging scrolls, ink on paper. 6 (425) Ichimaru Iwane. Hanging scroll, ink on paper. 7 (1050) Tanka Composed in the Spring of the Year of Beiju. Dated 1837. Hanging scroll, ink on paper. 8 (120) Hotei (Sakyamuni had already returned to the forest of the twin sala trees. Hanging scroll, ink on paper. 9 (250) Sensu. Hanging scroll, ink on paper. 10 (249) Kensu. Hanging scroll, ink on paper. 11 (269) Hyakujo yako (Hyakujo and the Wild Fox). Dated 1808 Hanging scroll, ink on silk. 12 (144) Hotei (Law is for drawings in the world). Hanging scroll, ink on paper. 13 (730) Tiger. Hanging scroll, ink on paper. 14 (77) Daikoku (The God of Fortune). Hanging scroll, ink on paper. 15 (903) One-line Calligraphy (Drink). Hanging scroll, ink on paper. 16 (490) Cherry Blossom Viewing. Hanging scroll, ink on paper. 17 (221) Bodhidharma. Hanging scroll, ink on paper. 18 (885) Circle, triangle, square. Hanging scroll, ink on paper. 19 (890) The Circle Aspect. Hanging scroll, ink on paper. 20 (60) The Three Gods of Happiness. Hanging scroll, ink on silk. 40.6 x 47.1 cm. 21 (86) Sagicho. Hanging scroll, ink on paper. 22 (83) Daikoku. Hanging scroll, ink on paper. 23 (639) The Monument to the End of the Brush. Dated 1832. Hanging scroll, ink on paper. 1 (1058) The Heart Sutra of Wisdom. Dated 1823. Hand scroll, ink on paper. 2 (1) Amida Buddha. Dated 1828. Hanging scroll, ink on paper. 3 (8) Sakyamuni Coming out of the Mountains. Hanging scroll, ink on paper. 4 (23) Kannon. Dated 1827. Hanging scroll, ink on silk. 5 (58) The Seven Deities of Happiness. Hanging scroll, ink on paper. 6 (61) The Three Deities of Happiness. Hanging scroll, ink on paper. 7 (148) Hotei Pointing to the Moon. Hanging scroll, ink on paper. 8 (175) Kanzan and Jittoku. Hanging scroll, ink on paper. 9 (212) The Hannya Mask. Hanging scroll, ink on paper. 10 (213) Bodhidharma. Hanging scroll, ink on paper. 11 (231) Baso and Rinzai. Pair of hanging scrolls, ink on paper. 12 (251) Nansen Cuts the Cat. Hanging scroll, ink on silk. 13 (240) Kyogen Hits the Bamboo. Hanging scroll, ink on paper. 14 (296) Above Kokei Ravine Three Hermits Are Laughing. Hanging scroll, ink on paper. 15 (309) Harmony between Heaven and Earth. Hanging scroll, ink on paper. 16 (311) Prince Shotoku. Hanging scroll, ink on paper. 17 (338) The First Patriarch Senko (Yosai). Hanging scroll, ink on silk. 18 (368) Self-Portrait. Hanging scroll, ink on paper. 19 (428) The Gate Pines for the New Year. Pair of hanging scrolls, ink on paper. 20 (473) The Six Poetic Geniuses in Old Age. Hanging scroll, ink on paper. 21 (485) Hiodoshi, Sumo Wrestler. Hanging scroll, ink on paper. 22 (489) The Grand Sumo Tournament. Dated 1834. Hanging scroll, ink on paper. 23 (501) oharame, Women Peddlers from ohara. Hanging scroll, Ink on paper. 24 (515) A Broken Piece of Rope. Hanging scroll, ink on paper. 25 (562) Hakozaki Beach. Hanging scroll, ink on paper. 26 (616) In Memory of the Tokian Hermitage of Zen Master Jomyo. Dated 1823. Hanging scroll, ink on paper. 27 (626) Sardine Nets. Hanging scroll, ink on paper. 28 (651) Wooden Pestles and a Ladle. Hanging scroll, ink on paper. 29 (666) A Broken Tub. Hanging scroll, ink on paper. 30 (741) Dragon and Tiger. Pair of hanging scrolls, ink on paper. 31 (751) Monkeys Trying to Catch the Moon. Hanging scroll, ink on silk. 32 (762) Two Cranes. Hanging scroll, ink on silk. 33 (777- Basho and the Frog. Triad of hanging scrolls, ink on paper. 34 (776) The Meditating Frog. Hanging scroll, ink on paper. 35 (798) The Plum Tree. Hanging scroll, ink on paper. 36 (933 One-line Calligraphy and Bamboo (The mugwort). Pair of hanging scrolls, ink on paper. 37 (834) The Full Moon in Mid-Autumn. Hanging scroll, ink on paper. 38 (837) The Forbearing Willow. Hanging scroll, ink on paper. 39 (841) The Morning Glory. Hanging scroll, ink on paper. 40 (853) The Orchid. Hanging scroll, ink on paper. 41 (874) The Turnip. Hanging scroll, ink on paper. 42 (879) Lotus Pond. Hanging scroll, ink on silk. 43 (885) Circle, triangle, square. Hanging scroll, ink on paper. 44 (888) The Autumn Moon. Hanging scroll, ink on paper. 45 (887) The Aspect of One Circle. Hanging scroll, ink on paper. 46 (891) Two-character Calligraphy (Nothing Special). Hanging scroll, ink on paper. 47 (894) One-line Calligraphy (Spring color). Hanging scroll, ink on paper. 48 (905) One-line Calligraphy (Kyogen). Hanging scroll, ink on silk. 49 (903) One-line Calligraphy (Drink). Hanging scroll, ink on paper. 50 (900) One-line Calligraphy (One good). Hanging scroll, ink on paper. 51 (908) One-line Calligraphy (The wondrous). Hanging scroll, ink on paper. 52 (917) One-line Calligraphy (One who). Hanging scroll, ink on paper. 53 (898) One-line Calligraphy (Spring is). Hanging scroll, ink on paper. 54 (915) One-line Calligraphy (Leave). Hanging scroll, ink on paper. 55 (920) One-line Calligraphy (Outside). Hanging scroll, ink on paper. 56 (928) One-line Calligraphy (No wealth). Hanging scroll, ink on paper. 57 (1002) Calligraphy of a Poem (Daytime in my room). Hanging scroll, ink on paper. 58 (1003) Calligraphy of a Poem (The tradition tells: to hear Buddha). Hanging scroll, ink on paper. 59 (1031) Calligraphy of a Poem (Once I followed Ryomyo). Hanging scroll, ink on paper. 60 (971) Three-character Calligraphy (Turning). Tablet, ink on paper. 61 (983) Two-character Calligraphy (Forbearance). Hanging scroll, ink on paper. 62 (984) Sweets for Tea. Hanging scroll, ink on silk. 63 (989) Framed Calligraphy (Buddhas and bodhisattvas all). Tablet, ink on paper. 64 (1077) Words on the Tea Ceremony. Dated 1826. Hanging scroll, ink on paper. 65 (1046) Poem on the Buddha Way. Hanging scroll, ink on paper. 66 (1049) Waka Poems (Summer night,). Pair of hanging scrolls, ink on paper. 67 (1081) A Letter. Hanging scroll, ink on paper. 68 (977) A Pseudonym. Fan, ink on paper. 69 (1071) A Dream Story. Hanging scroll, ink on paper. 70 (1070-16) Family Precept. Hanging scroll, ink on paper. 71 (1137) A Tea-bowl Box. Wooden box. 72 (1131) Takatori Ware Ewer. 73 (1135 Tea-scoops and Cases Made and Named by Sengai. Akebono, Tasogare. 74 (1078) Note on a Tea-scoop. Dated 1821. Hanging scroll, ink on paper.